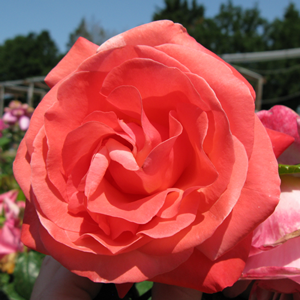 Rose Bush Hybrid Tea Silver Jubilee has beautiful salmon-pink and peach blooms they are well formed and fragrant that are borne on vigorous growth clothed with glossy foliage. R.H.S. Award of Garden Merit.